On a seemingly inauspicious winter day that was marked by the prophecy, bloodied and bruised, a young orphan escaped the depths of the vampire city and for the first time in years saw the blue of the sky. That was the day Yuichiro Hyakuya first met Ichinose Guren and began his life with the Japanese Imperial Demon Army. This dark fantasy action story of family and loss is written by Takaya Kagami with the illustrations done by Yamato Yamamoto with Daisuke Furuya on storyboards. Today we will show you some collectible gems from the show that would make even the apocalypse a little brighter! Note: We only have 4 figures this week. Sorry! 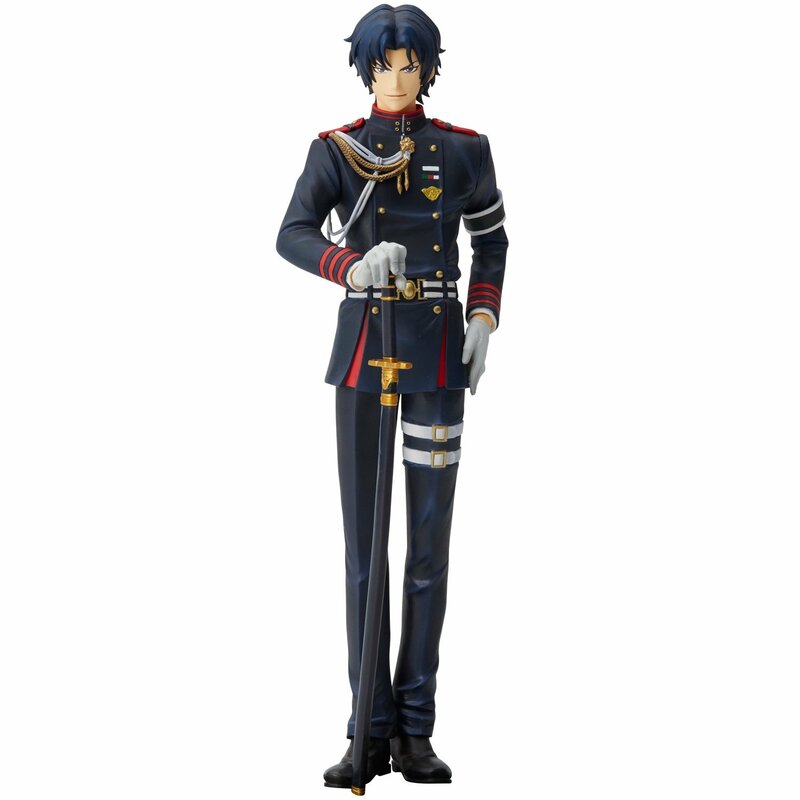 Opening our list is the leader of the Moon Demon Company and the head of the Ichinose family, Guren Ichinose. As an accomplished warrior and a mentor/father figure to the main character Yuichiro Hyakuya, Guren gets a worthy figure from Union Creative that is a part of their mensHdge Technical Statue line! The figure was released in February 2016. Guren is 20 cm (7.8 inches) tall and comes with and optional head part and a special mensHdge base! This ATBC-PVC figure shows Guren in his uniform holding his Black Demon series Cursed Gear, Mahiru-no-yo. Guren was sculpted by VAROQ. You can own this figure for about 8,860 yen (~77 US dollars). On our next spot, we have the Machiavellian vampire who murdered Yu’s familiy, Ferid Bathory. This figure of the seventh progenitor was released in July 2016 by Union Creative. Ferid is a part of Union Creative’s mensHdge Technical Statue line. Matsuura Ken sculpted this figure that shows Ferid in all of his scheming glory, with his clothes and the tails of his scarlet ribbon casually carried by the wind. The figure is 20 cm (7.8 inches) tall and it was made from ATBC-PVC. With this figure, you will get an interchangeable head and a special ABS base. 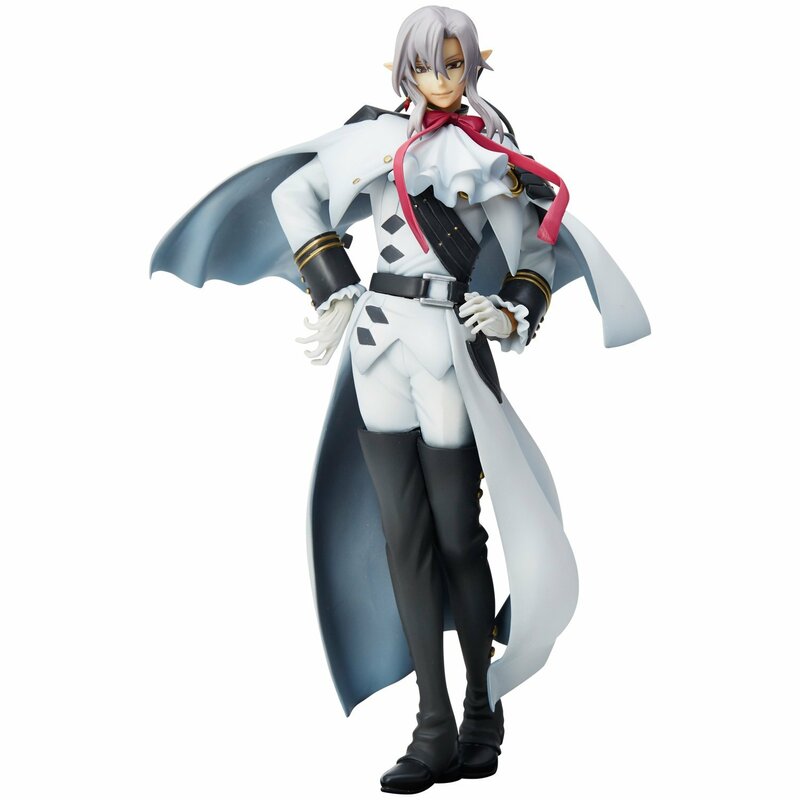 Ferid can be yours for about 10,010 yen (~87 US dollars). In February 2016, Union Creative graced us with an amazing figure of Seraph of the End’s main protagonist, Yuchiro Hyakuya. This complete pre-painted ATBC-PVC Yu figure is 17 cm (6.63 inches) tall and it is a part of Union Creative’s mensHdge Technical Statue line. Yu is shown here wielding Ashuramaru, his Black Demon Series Cursed Gear while wearing his Japanese Imperial Demon Army uniform which comes with a detachable cape. The figure was sculpted by Matsuura Ken and it comes with special ABS mensHdge base. 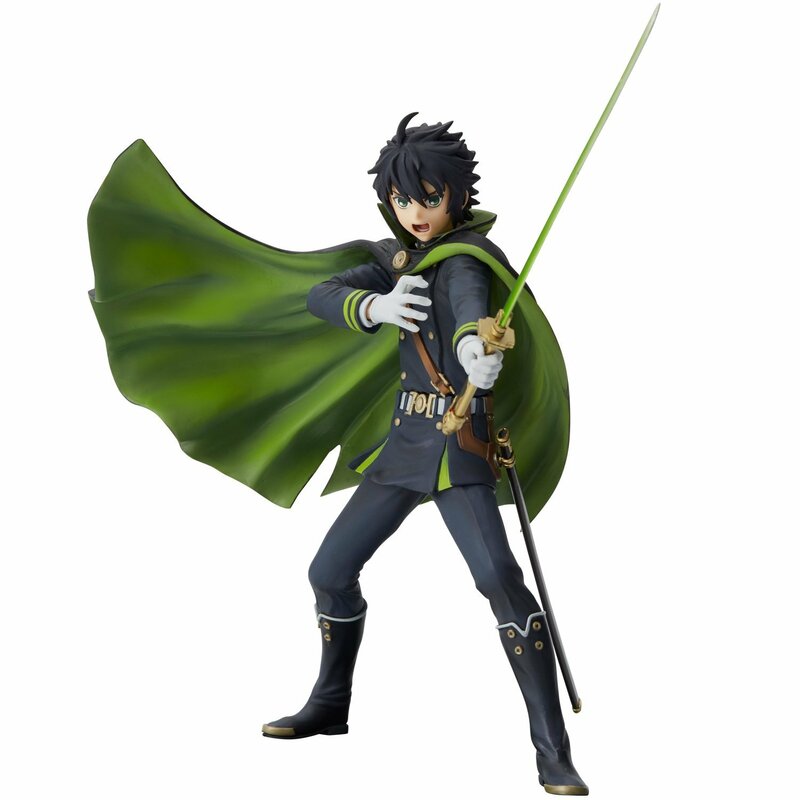 To own this fantastic figure of the battle-ready Yuichiro, you will need to have around 11,160 yen (~97 US dollars). And our top spot belongs to the one and only, the tragic deuteragonist, Mikaela Hyakuya. 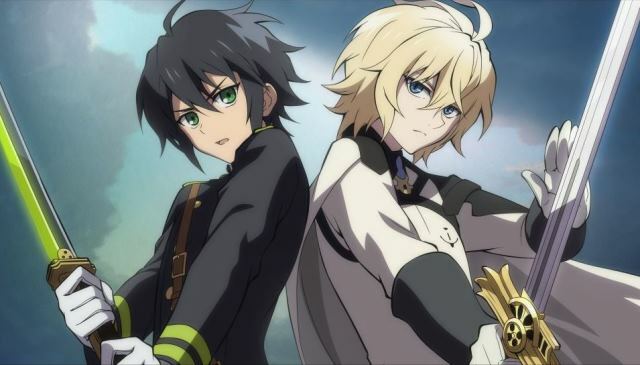 Turned unwillingly, Mikaela lived with the vampires he despised for years before being reunited with his childhood friend Yuichiro Hyakuya. Matsuura Ken sculpted this figure of Mikaele that was released by Union Creative in February 2016 as a part of their mensHdge Technical Statue line. The figure is made of ATBC-PVC and it is 18 cm (7.02 inches) tall. Mikaela, who is a noble vampire because he was turned by one, has the ability to wield a first-class vampire sword which is shown in exquisite detail with this figure. 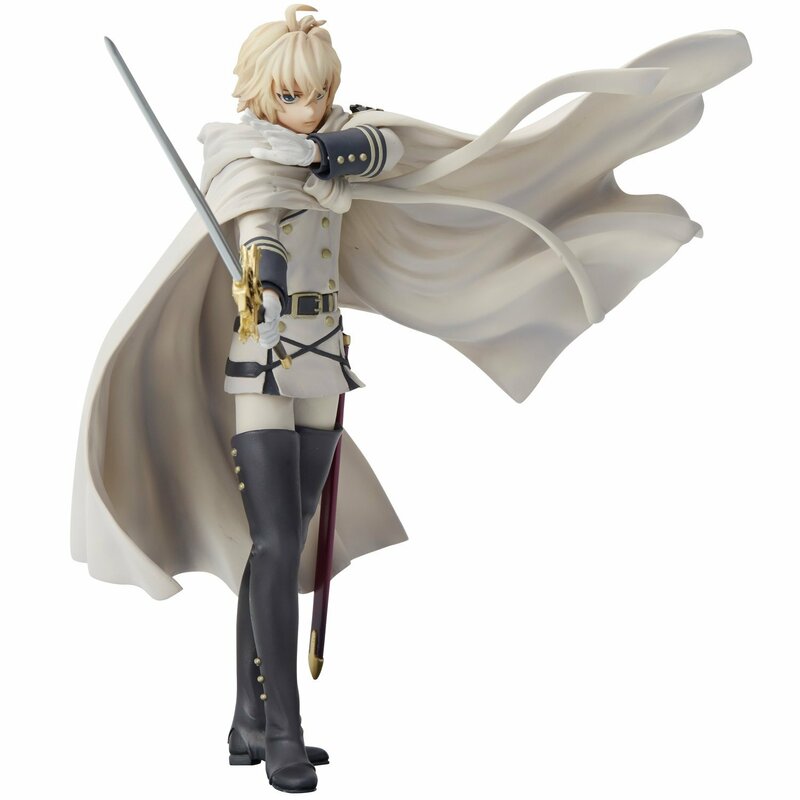 The figure also shows Mika in his vampire uniform that comes with a detachable cape. With this figure, you will get a special ABS mensHdge base! Mikaela can be a part of your collection for approximately 34,745 yen (~302 US dollars). This is all from us for this week friends! Good luck and don’t let the vampires bite! As we journeyed through myth and legend of Saint Seiya, we found a few forgotten treasures! Join us and let us see what we found, together! The Prison School series really managed to imprison many fans with its well crafted R-rated silliness. In its wake, many a great figure was created, and here we are to show you the best of the best! Steins Gate took the world bu storm and luckily for us left some awesome figures in its wake. It is high time we looked at some of the coolest Steins Gate figures!